First Choice Property Inspections, LLC offers comprehensive home inspection services to the South Jersey region. Our visual, non-invasive inspections will shed new light on the quality of a home’s construction so that you have the full scope of information necessary to make an informed buying decision. We adhere to New Jersey’s strict Administrative Code. Our residential property inspection is a thorough examination of a home’s visible and readily accessible components. After the inspection is performed to completion, we’ll send you a full report of our findings within the next 24 hours. For this inspection service, we thoroughly investigate the condition of a property that is set to go on the buyer’s market in the near future. We’ll check for potential deficiencies and defects that you need to be aware of so that you have the information you need about recommended repairs and maintenance that you can perform before you begin showing the home. Before the builder’s final walkthrough, we strongly recommend scheduling this inspection service to ensure that a new home is in good condition prior to final closing. We’ll carefully assess the condition of the property’s readily accessible areas, informing you of any defective materials or oversights in construction that we discover. This inspection service is designed to cover as many phases of construction on a new home as a client sees fit. Whether you simply want the home looked at prior to the concrete pour and again before the final walkthrough, or you need the property evaluated several times in-between, we’re able to get it done so that you can make sure your investment is protected. For this inspection service, we use top-of-the-line equipment to determine if current radon levels inside a home are safe. Radon forms naturally underground, and the gas can work its way upward until it’s able to penetrate the underlying structure of a home. Radon is strongly linked to causing lung cancer in exposed humans, so it’s extremely important to have a home tested before making a buying decision. We perform inspections of light commercial buildings such as strip malls, office spaces, and storefronts. The inspection will cover most visible and readily accessible components, revealing the property’s strengths and potential maintenance needs. Contact us for more information about the types of commercial properties we’re able to inspect. First Choice Property Inspections, LLC brings years of construction experience and knowledge of the real estate industry to the home you need to have inspected, providing unbiased insights that will help you determine how to best proceed in your efforts to buy a home. Contact us today to request an inspection. 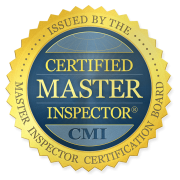 We offer professional home inspection services for clients throughout the South Jersey region. Make sure to ask about our discounts for active-duty military, veterans, and public service employees.